DISC Workshops - Answering the "Now What?" 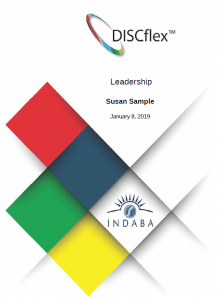 Indaba Global Coaching has developed a series of DISC workshops delivered via webinar to educate people on behavior. Each workshop begins with awareness. We have you complete an online DISC assessment that produces instant results. You will be able to download your DISC report immediately after completing it and we have trained experts here to help you understand what your results are. Our DISCflex Certified Coaches will be able to lead a one-hour training session with you on DISC. The topics are listed below and the prices are for webinar training workshops on DISC. We do offer in-person DISC workshops by request. We can come onsite to you or if you would like to travel to us we are located in St. Petersburg, Florida (next to Tampa). You will be asked to complete a DISC assessment online, and be given access to our DISC eLearning course. We will then schedule a one hour webinar to provide you with one on one coaching based on your DISC results. 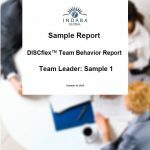 One of our DISCflex Certified coaches will debrief you via webinar on your DISC Report and dive a little deeper into the meaning of the results. During the webinar, we provide you with information on our DISC methodology and assign portions of the eLearning specifically focused on your unique DISCflex Results. Your coach will be available for additional explanations and suggestions as you go through the eLearning Course. 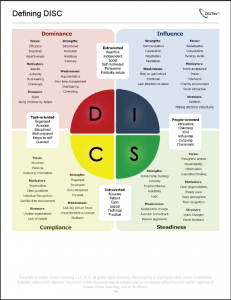 One of our DISCflex Certified Coaches will work with you to make sure you understand the differences between each factor and includes access to a DISC Assessment of your choice and our DISC eLearning program. In this one-hour webinar workshop, we examine the four DISC factors - Dominance, Influence, Steadiness, and Compliance. Each DISC factor has strengths, weaknesses, motivators, and stressors. You will begin to understand the mindset and tendencies of each factor. The workshop includes activities to assist you in grasping the core concepts of DISC. This workshop is meant for individuals/groups who have a good understanding of the DISC factors. We recommend completing the recognizing DISC workshop or Parts 1-3 of the DISC eLearning before taking this workshop. In this workshop, a Certified DISCflex Coach will provide you with custom DISC coaching to help you flex your behavior. They will help you understand your DISC sub-factors and how to use them to dial up and down individual factors. 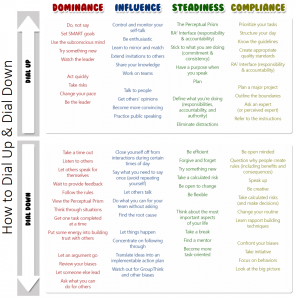 As you dial up and down your DISC factors you will be flexing your behavior. This workshop includes access to a DISC assessment, report, and our DISC eLearning program. The goal of this workshop is to help you use DISC to flex your behaviors. We want you to be able to assess a situation and be able to behave appropriately. How does your team behave? We won't tell you if they have good or bad behavior, but we could provide you with insight into why your team may or may not behave appropriately. In our team analysis workshop, we will be able to provide you with a language of behavior that will be consistent with the team. We will start by having each person complete a DISC assessment. They will all need to take the same program in order for us to generate a report. One of our DISCflex Certified Coaches will conduct a one hour webinar to walk you thru your team's report and provide personalized coaching based on your team's results. One team report ($100 value) will be included in the cost of the workshop. What is your goal using DISC? Our workshop pricing above is for webinar workshops only. We would be happy to discuss in-person workshop options. That pricing would depend on a couple factors. Will the workshop be run in-person here in St. Petersburg, FL or would we need to send a Certified DISCflex Coach to you? How many people do you wish to have complete the course and will this be a one-time event or would you like us to work with future groups. Please contact us to discuss as we would be happy to answer your questions and find a solution that is best for you or your team. 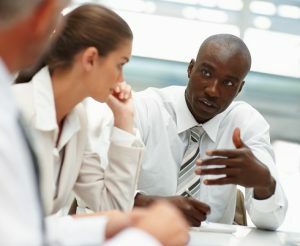 Complete a DISC assessment today to learn more about your behavioral tendencies. Pick an area that is applicable to you and your goals. We are able to provide a couple different options if you want to learn more about how you behave - personally or in a work environment. Our reports are great for the professional and personal development. The DISC eLearning program is a reference library that many businesses, colleges, and coaches use after completing a DISC assessment. The eLearning program contains over 15 hours of content. The content is delivered via video, audio, and script forms. It also includes whitepapers and activities designed to help the user in understanding DISC. We would be happy to show you how this program works and map out what content may be applicable to your needs. We have designed a new Team Behavior Report that allows you to pick and choose which members of your organization you would like to include. 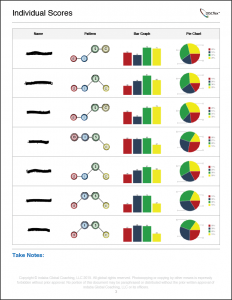 Once you have selected your team, pick a team leader and we can generate a comprehensive Team DISC Report for you. 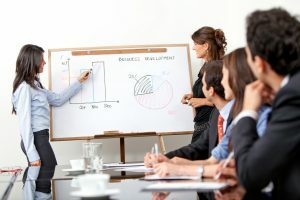 You will find your teams individual DISC scores, information on your team leaders potential strengths and challenges, and information on the 9 steps of a successful team mapped out with the useful DISC factors for each step. *Please make sure to note that everyone you want to include on your team must complete (or have previously completed) the same DISCflex™ assessment.